The hills and lush greenery will take your breath away as you arrive in the beautiful Sri Lankan town of Kandy. As the second largest city in Sri Lanka, Kandy offers plenty to do for the first time tourist although the beautiful scenery feels like a quiet retreat. Needless to say, if you’ve never been to Kandy, Sri Lanka you need to go and you’re going to fall in love. You can travel to Kandy in one of two ways. Either fly directly into Polgolla Reservoir Airport in Kandy or fly into Bandaranaike International Airport in Colombo and take the train a short distance to your final destination. Either option will work, but if you are on a budget flying into Colombo is typically your best bet and allows you to see more of the awe-inspiring scenery Sri Lanka has to offer. To travel from site to site in Kandy, a Tuk Tuk is recommended! The most popular mode of tourist transportation in the city, a Tuk Tuk is a small motorized car that operates much like a taxi. Tuk Tuk drivers can be hired for a short, one time trip or for an entire day. If you plan on doing a lot of sightseeing, it is in your best interest to hire one driver for the day. However, always make sure to settle on a fair price before you climb aboard! Once your plans for travel are made and you arrive in Kandy, you will realize you could spend days wandering the streets, stopping in shops, and venturing through the gorgeous parks. But, typically when you travel to Kandy, you’re on a schedule. To help you create that schedule, here is a list of the best things to do while you are in Kandy, Sri Lanka. The Temple of the Tooth is a World Heritage Site and a must-see while you are visiting Kandy. The site was created to guard one of the most important Buddhist relics, a tooth of Buddha. The white stone walls and buildings throughout the site offer a royal ambiance and the intricacies of the architecture are beautiful. 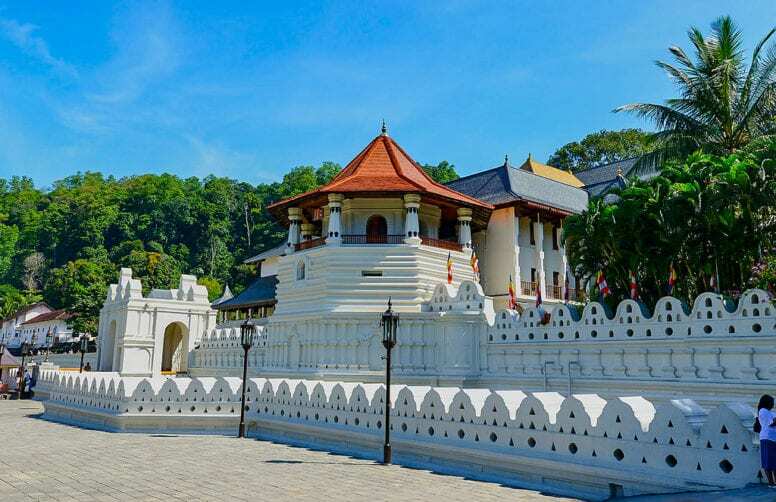 Because of the rich history and the rich scenery, anyone who has ever visited Kandy will tell you the Temple of Tooth should be on the top of your list. Located just a short walk away from the Temple of Tooth, the National Museum of Kandy is a perfect early stop on your tour of Kandy. The displays of history throughout the museum will give you a peek into the Kandy era and help you understand a little more about the city you are spending time in. Some of the favored displays at the museum are the ancient weapons, ancient household items, and ancient clothing. 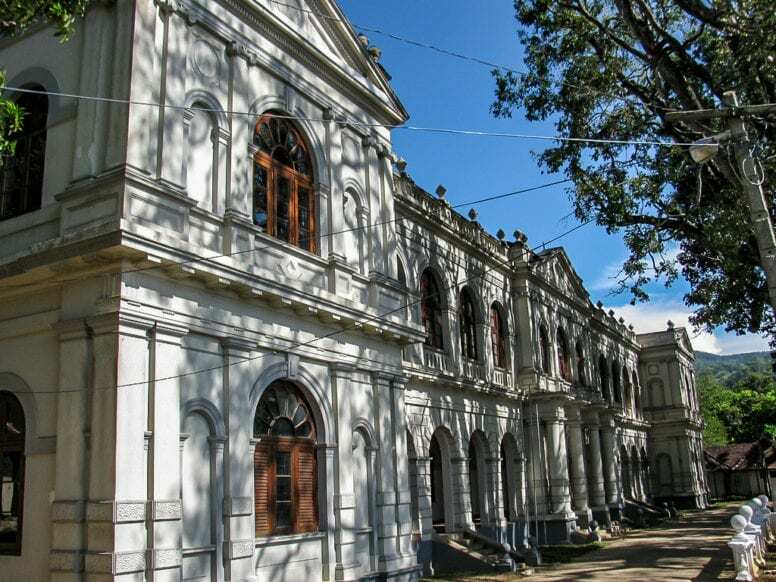 The National Museum isn’t the only fascinating museum available in Kandy, Sri Lanka. In fact, there is quite a wide array of them and how many you’ll see will depend solely on how much time you’ve got and on your personal interest. The International Buddhist Museum is definitely worth visiting and will give you a glimpse into the Buddhist world, its history and traditions. Another great place to visit is the Ceylon Tea Museum – a real heaven on earth for all the tea enthusiasts and an engaging location for anyone who wants to learn more about the tea industry. If you have very little time go and see the tiny Raja Museum. It’is dedicated to Raja – the sacred elephant who carried the tooth relic and 15 minutes is just enough to see everything there. To get to the Royal Botanical Gardens you will have to venture to the west of Kandy, but the ride in a Tuk Tuk is worth it! The winding 5.5 km of beautiful gardens is like something from a storybook. Although the gardens hold over 4000 species of plants and flowers they are known for the beautiful collection of Orchids throughout the grounds. You can spend a day in the Royal Botanical Gardens and pack a picnic for lunch, or just stop by in the morning to watch the flowers and grounds come to life. 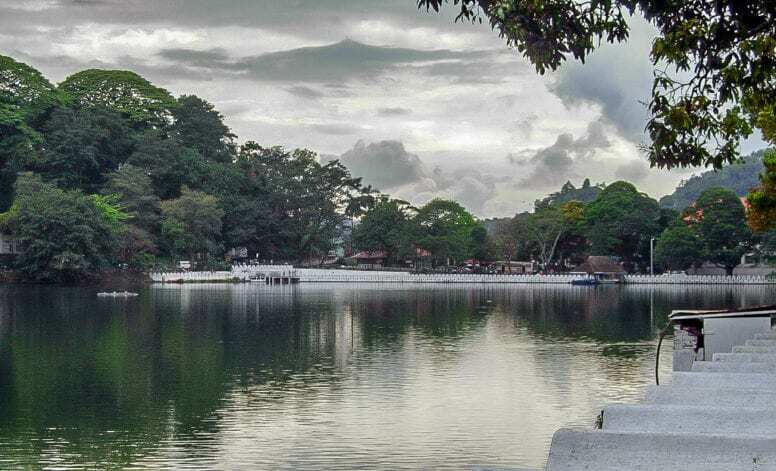 Right in the middle of Kandy, you will find Kandy Lake. As a manmade lake, Kandy Lake is one-of-a-kind. Tunnels from land connect to a platform in the middle of the lake where the king used to bathe and there are many tall tales surrounding legends of the lake. 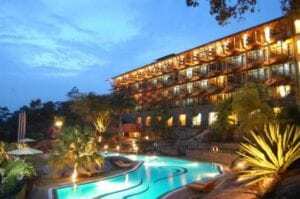 Needless to say, this is one place you just have to see for yourself while you’re in Sri Lanka and also one of the top things to do in Kandy. 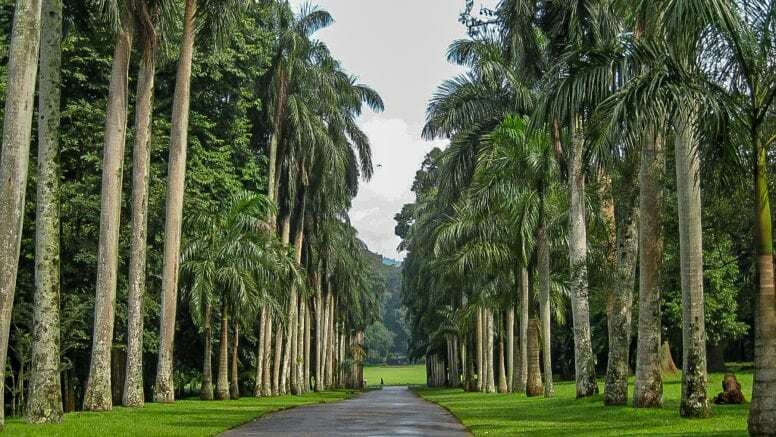 And, if you are only in Kandy for a short period of time, we recommend fitting it into your schedule by taking a short morning walk or jog on the grounds surrounding the lake. 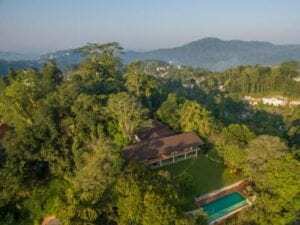 Home to countless numbers of animal and plant species, visiting the Udawattakele Forest Reserve in Kandy, Sri Lanka is like stepping into an enchanted forest from a storybook. The tall trees twist in and out of one another as if they are just trying to find a way to reach the sky. There are waterfalls, streams, and rivers flowing through the miles of protected land. If you visit Udawattakele Forest Reserve you might also be surprised to learn that it is also a wild boar reserve. So, don’t be too alarmed if you see one of those big guys wandering across the path you are walking on. 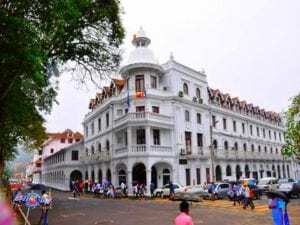 When making a list of things to do in Kandy you can’t miss the Royal Palace of Kandy – one of the most important attractions, located on the same campus of Temple of the Tooth. 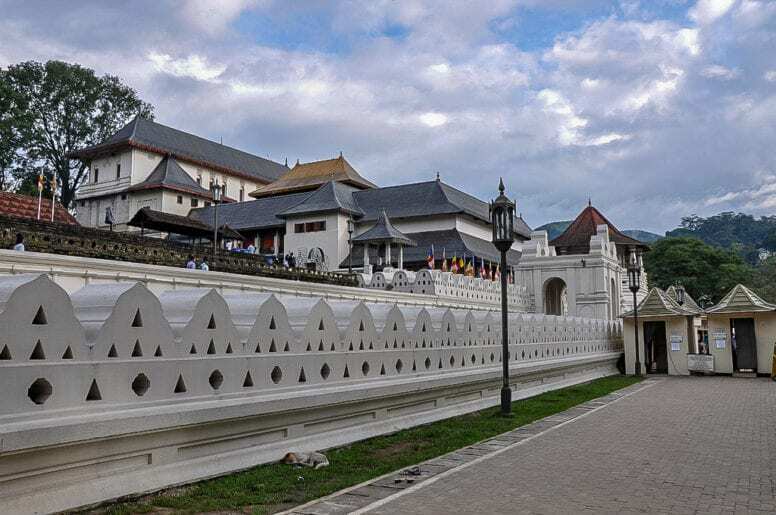 This is an excellent place to learn a bit more about the history and culture of Kandy and you’ll also get a chance to admire the really impressive architecture and interiors as well. It takes around two hours to visit the entire place and see the King’s Palace, Great Terrace, and different museums and libraries. You can get a guided tour or do your own thing – whatever you chose you’ll have a great time soaking in the history and magical atmosphere of this place. When it comes to things to do in Kandy, Sri Lanka another place certainly worth visiting is the Natha Devale from the 14th century. Situated on a stone terrace, Natha Devale is a part of four temples (one Buddhist and three Hindu temples) and is a wonderful spiritual site filled with tranquility. Natha Devale isn’t very touristy so It’s a great place to visit If you want to spend a peaceful morning, far from the crowds. No trip to Sri Lanka can be considered complete without trying the typical, authentic and high-quality Ceylon tea. Even if you don’t regard yourself much of a tea person you should still take some time to sip on this local specialty. 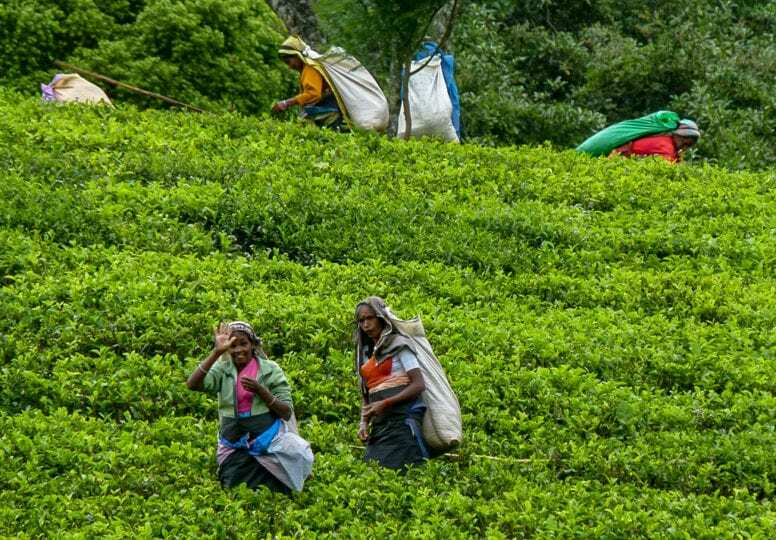 Believe me or not I’ve met some people who actually travel all the way to Sri Lanka for the pure pleasure of drinking and buying the local tea – which is considered the best tea in the world by many. So, one of the best things to do in Kandy must be simply sitting down, relaxing and enjoying a delicious cup of Ceylon tea. And don’t forget to buy some extra for your friends and family back at home – I’m sure they’ll love such a flavorful souvenir from Sri Lanka. Not too far from Kandy lies one of the Sri Lankan natural wonders – the Hanthana Mountain Range. Amazing landscapes and unique sceneries beg to be discovered and both your head and your camera will be filled with fantastic memories. There are a few easy hiking trails available while it is best to get a guide if you’re planning a more challenging adventure. Once you reach the peak you’ll get to admire a breathtaking panorama of Kandy and have a chance to take amazing photos. If you ever feel like you want to be close to nature during your trip to Kandy there is no better place than this one. You didn’t think you could leave Kandy without trying the delicious dishes of Sri Lanka? Food in Kandy is an incredible mix of spices, colors and flavors and a real feast for the senses. One of the most famous dishes in Sri Lanka is rice and curry, available in many different forms and combinations. 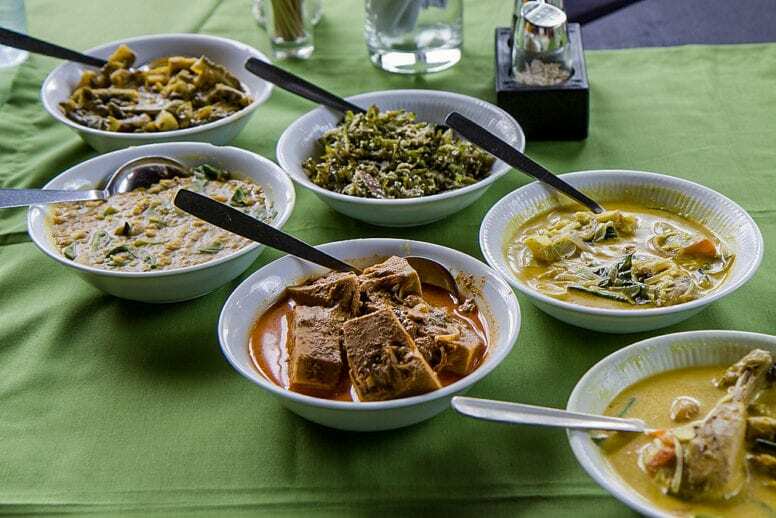 In fact, you’ll come across Sri Lankan Dhal Curry, Fish Curry and Young Jackfruit Curry just to name a few but the list is pretty long. Also, Kandy is a wonderful place to try one of the yummiest Sri Lankan breakfasts. Some of the breakfast options you can enjoy include the local pancakes, roti, pol sambol and…(insert drum rolls here) – rice curry! If you happen to visit Kandy in July or in August you will have a chance to experience the amazing religious festival held to celebrate the Sacred Tooth Relic of Lord Buddha. 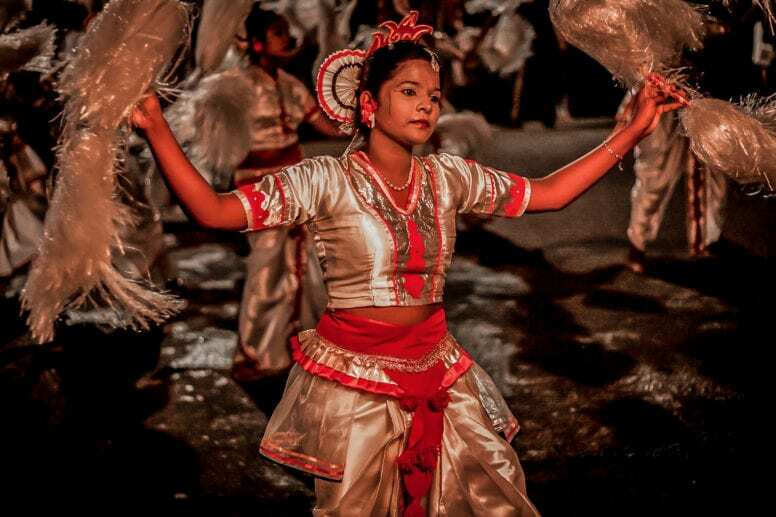 The narrow streets of Kandy fill up with colors, music, people dancing and celebrating and with elephants. One of the animals carries the Sacred Tooth Relic. Taking part in this festival is a truly unforgettable experience and something to remember for years to come. If you are planning on staying overnight in Kandy, there are quite a few places for you to rest your head. Here are our recommendations. The Elephant Stables – if you really want an experience, this is a location we highly recommend. This luxurious retreat is located on an Elephant sanctuary just outside of town and offers serene peace and quiet as well as a view of grazing elephants. It just doesn’t get any better (or more Sri Lanka) than that. Earl’s Regency Hotel – a 5-star solution, ideal for travelers who look for a high-end resort with all comforts. This hotel comes with stylish and spacious rooms, a spa and a beautiful outdoor pool. Location is a plus as many important attractions are situated only a short drive away. Earl’s Regency Hotel is a perfect place for relaxing after a long day of sightseeing around Kandy. 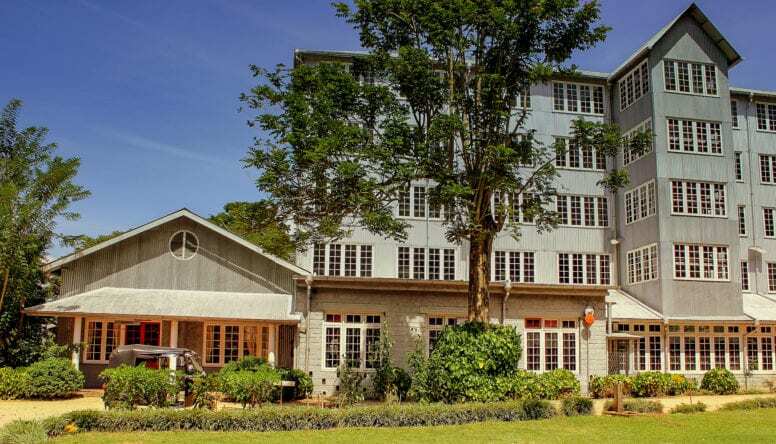 Queen’s Hotel – this colonial-style hotel offers nice rooms, a pool and all the necessary facilities at affordable prices. It is possible to walk to many of the city’s main points of interest from there which is a huge advantage. 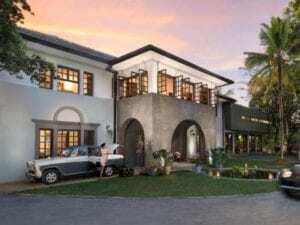 Galavilla Boutique Hotel & Spa – if you prefer to stay in a quiet place, far from the noise and crowded streets you have to check out this hotel. 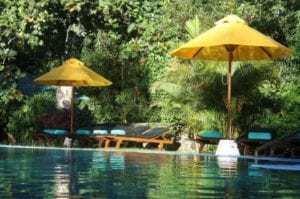 Located in wonderful scenery and surrounded by nature Galavilla Boutique Hotel & Spa is a unique and relaxing place. For the ultimate experience get yourself pampered in the hotel’s spa, book a massage or a beauty treatment and forget about the entire world for a couple of nights. Kings Pavilion – one of the most luxurious hotels available in Kandy, this 5-star solution will satisfy even the most demanding clients. The friendly staff will go out of their way to make your stay at Kings Pavilion unforgettable and unique. You’ll fall in love with the beautifully designed and comfortable rooms, a lovely pool and a sun terrace. The lush greenery surrounding the hotel makes the entire experience even more special and relaxing. If you’re lucky enough to have time to spare after seeing all of these sites, there is still plenty more to do in Kandy. Visiting the local markets, trying out the local restaurants, and experiencing the nightlife are all at the top of the list. Or, if you are more of an outdoors person, you can always head outside of the city for a nice day trip. Whatever you do in Kandy, you will not regret your time there! We can guarantee it! Thanks for your guide, I’m planning now my tour of Sri Lanka and India. By the way, the Kings Pavilion looks great, so I’ll definitely consider it too. we’re glad you found our guide for Kandy useful. I think you won’t regret if you book the Kings Pavilion, it’s truly a beautiful and relaxing place to stay.